Milton, Ontario - The clergy of the East Canadian Deanery, together with the people of God, took part in the Vigil on the eve of the Transfiguration, August 18, 2015. Serving at the Vigil were: V. Rev. Stavrophor Prvoslav Puric, V. Rev. Stavrophor Milojko Dimitric and the abbot of the monastery Protosindjel Vasilije (Gavrilovic), while V. Rev. Stavrophor Dragomir Ninkovic, Protonamesnik Aleksandar Crnogorac and Protonamesnik Milos Puric sang piously at the chanter's stand. After Vigil all in attandance were served at the agape meal prepared by the Vice President of the Diocesan Council, Dragan Prostran and his wife Mira. On the feastday of the Lord's Transfiguration, the Divine Liturgy began at 9am. Serving at the holy altar were clergy from the neighboring parishes: V. Rev. Stavrophor Prvoslav Puric, V. Rev. Stavrophor Dragomir Ninkovic, V. Rev. Miroslav Smigelsky (Ukrainian Church) and Protonamesnik Aleksandar Crnogorac. Present at the liturgical gathering was also Bishop Georgije, former Bishop of Canada. 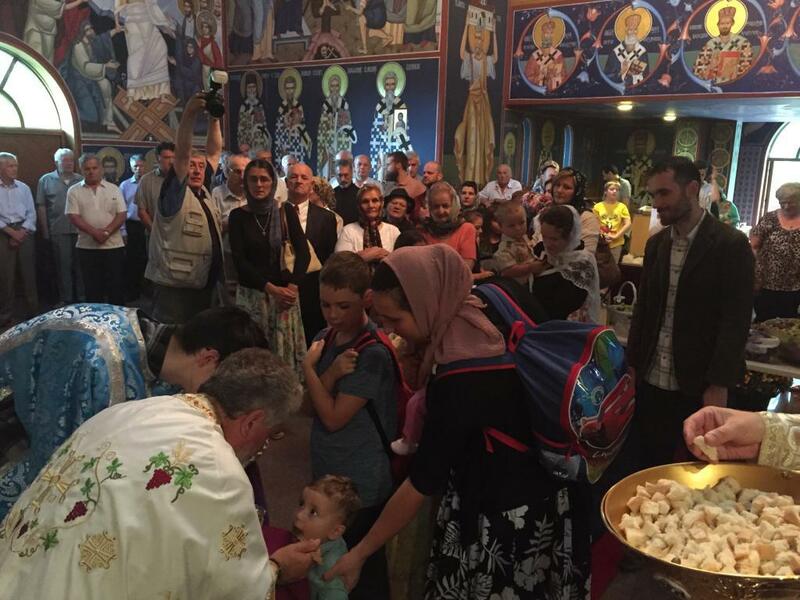 Among the faithful was Sister Anastasija from Monastery Marcha (near Cleveland) who was visiting the monastery with her son Fr. Steven from Detroit. 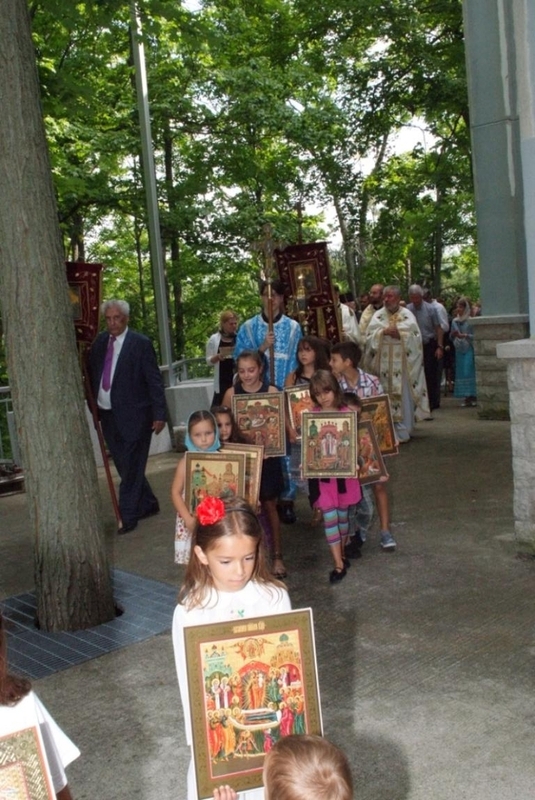 Following the Divine Liturgy was a procession around the church and then the blessing of the grapes and Slava Kolac. The kum for this year's Slava was V. Rev. Stavrophor Prvoslav with his Protinica Mira Puric. Lazar Misljenovic from Kitchener accepted the kumstvo for next year. 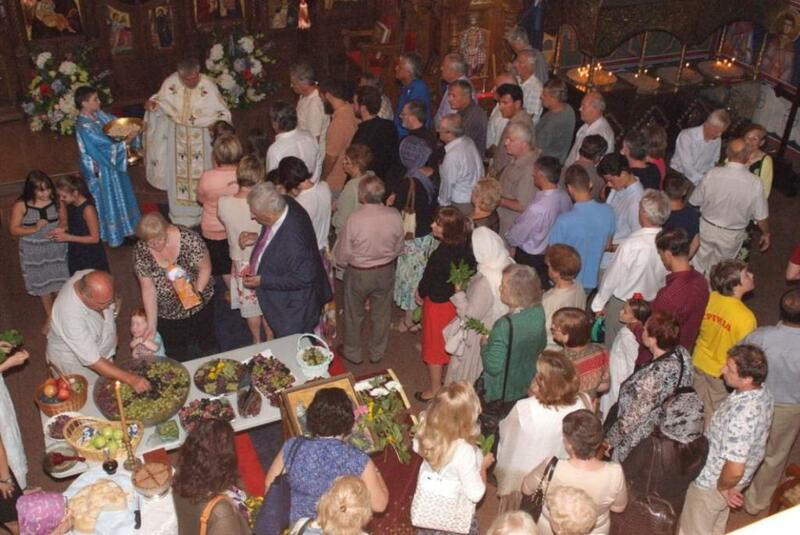 After the liturgical celebration a Slava luncheon was prepared in the pavilion. 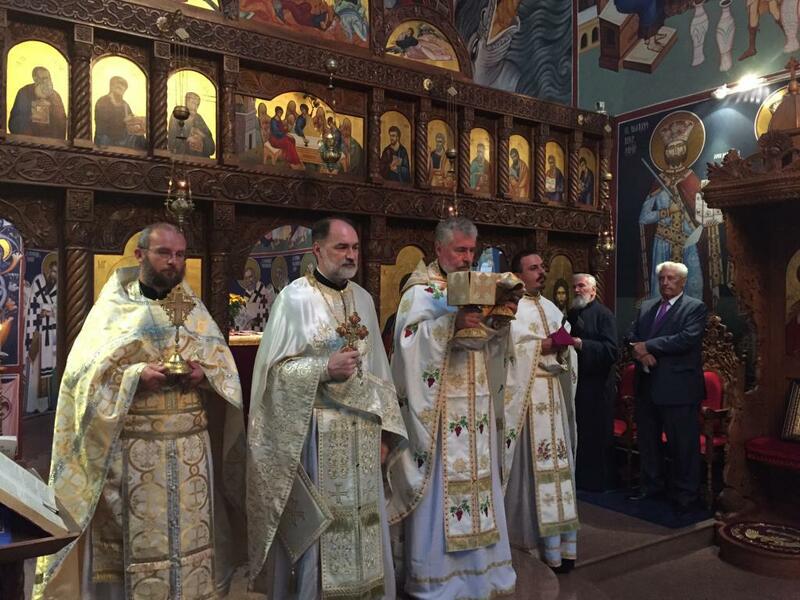 In the warm atmosphere and festal joy the wonderous light of Tabor was preached and spoken of and the need for ascetism in the secularized society we live in in the West.